This walk is based on walk number 5 (page 63) in our 'Romans to Roundabouts' book. With a few welcome guests joining us we had a fascinating walk and many new historical facts emerged. Holland Fold Farm, currently being renovated. 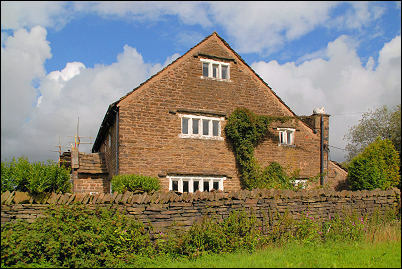 Holland Fold Farm is a grade 2 listed building. A unusual stone globe shows a date of 1680. Although we stopped briefly outside the Yew Tree we didn't have time to stop for a drink. 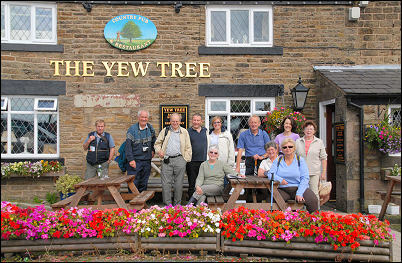 The group stop briefly at the Yew Tree.